Should energy efficiency take priority over a price cap? Ofgem has announced it is to extend the energy price cap on pre-payment meters to include some of the most vulnerable households sat on expensive standard variable rate tariffs. The energy regulator has announced that around one million elderly and low-income customers could save £120 on their energy bills when the cap comes into effect in February, but the proposed cap on all standard tariffs might not be implemented until 2019. The roll out of a price cap on all standard variable rate tariffs will not take place until the necessary legislation has been passed, and although the government is set to publish a draft bill imminently, this will delay help for the 11 million or so customers currently on expensive energy deals. But does a price cap miss the point, and merely paper over the cracks of the UK’s domestic energy-efficiency problem? As part of her Conservative Party Conference speech last week, Theresa May confirmed the government would be implementing a price cap on standard variable rate tariffs, a move that could help cut energy bills for between 12 million and 15 million customers. The government has given Ofgem the responsibility and powers to set and implement the price cap, to help ease concerns that consumers on standard rate tariffs are being exploited by energy providers. It remains to be seen whether the price cap will have the desired effect of lowering prices, while keeping competition healthy, but it feels like the ongoing row over government intervention in the market is deflecting from the real issue – declining energy efficiency standards in millions of homes across the country. The UK has more old houses than any other EU country, and poor maintenance and insulation means they’re also among the most expensive to heat. Statistics from the Buildings Performance Institute Europe (BPIE), show over half of all British properties were built before 1960, while just over 10% have been built since 1991. These older homes need at least double the energy to stay warm compared with many countries, even those with colder climates, and it’s this poor energy efficiency which is the main cause of fuel poverty, a serious issue that affects 4.5 million households. Data from Eurostat shows there are 19 million UK homes that have poor energy efficiency grades of C or below on their energy performance certificate, and once grades start reaching F and G, houses can be exposed to levels of cold that can kill – 25,000 people die in the UK each year as a result of the cold. Is your rental property meeting the required energy standards? Read [Is your landlord A-rated for energy efficiency? ](https://www.ukpower.co.uk/gaselectricitynews/is-your-landlord-a-rated-for-energy-efficiency) to find out more, and what you can do if it isn’t. Up until recently, the UK actually had an effective system in place to address the problem of domestic energy efficiency, but it was cut by the Conservatives in a desperate bit of electioneering, ironically, in response to the suggestion of an energy price cap. Ed Milliband, the former Labour leader, first mooted an energy price cap back in 2014, when the Conservative Party not only deemed the idea to be a reckless intervention that would destroy competition in the market, but also cut the levy on energy bills which paid suppliers to fit insulation and implement other energy efficiency measures. In an attempt to tackle the problem of high energy bills, this short-sighted fix saw the levy halved from £1.4 billion, to £650 million per year, and although still a sizeable sum, it led to an 80% drop in the number of energy efficiency measures being installed in UK homes. The worst part of all is that this efficiency drive, led by the levy on energy bills, was proving to be the most effective way to lower prices – a study from UK Energy Research Centre (UKERC) has found that in 2015, the average household energy bill was £490 lower than it would have been without improvements in energy efficiency, and concluded an ongoing programme would have the potential to cut bills in half. Thankfully, details of the Clean Growth Plan have now been released, and energy efficiency for both households and businesses is at its core. The government has released its Clean Growth Strategy, a 164-page document outlining how it will hit its target of cutting carbon emissions by 57% by 2032. The strategy covers everything from clean energy generation to plans to bring all households’ energy efficiency rating up to grade C by 2035. 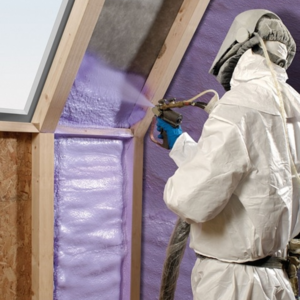 Although it’s not entirely clear how this objective will be met, existing schemes to improve insulation will be extended until 2028, and plans will be drawn up later this year to replace the existing Levy Control Framework with a new set of controls beyond 2020/21. What do you think? Should the government be concentrating on energy efficiency measures instead of imposing a price cap? Get in touch via our Twitter or Facebook page and let us know your thoughts.